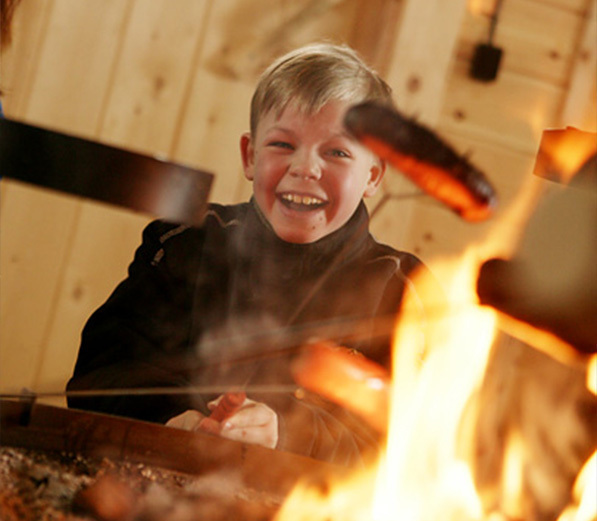 The wholesome home cooking provided at Hossa and Kylmäluoma will certainly energise those taking part in trekking and other outdoor pursuits. In addition, both trekking centres also provide coffee and small snacks during reception opening hours. 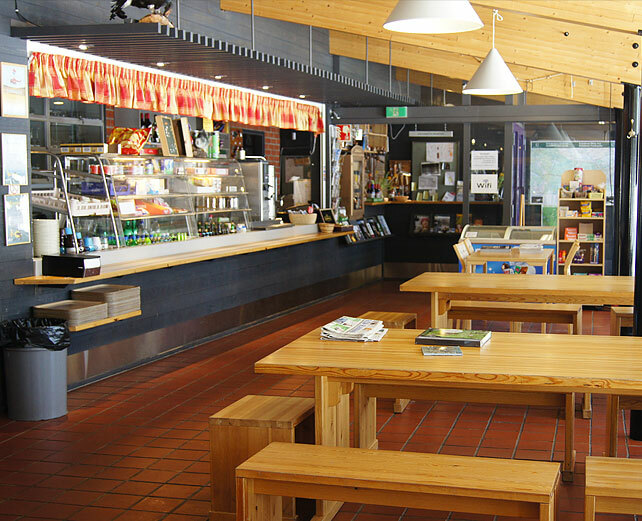 Hossa visitor centre’s café-restaurant is located in the premises of Hossa nature centre. The café-restaurant is open from 1.3.-31.10. During the summer season, lunch is offered on a daily basis, whilst lunches or dinners are also available at other times by arrangement. Basic food provisions can be purchased from the café-restaurant. 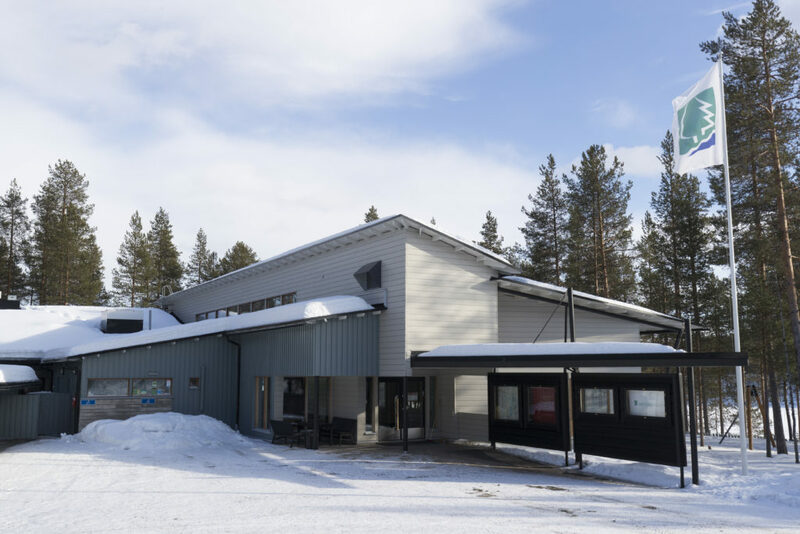 The nature centre also contains the Hossa visitor centre reception and guidance services, as well as an exhibition from the State Forest Enterprise on Hossa National Park. Dining can easily be integrated into programmes in the conference rooms of the nature centre. Lunch is served in the Hossa visitor centre’s café-restaurant from June to September, daily between 12-16. At other times, it is possible for groups to dine by request. A varied buffet lunch is ideal for those taking part in outdoor activities. Hossa’s landscapes create a unique starting point for meetings. The renewed premises of the nature centre can host meetings for about 20 guests. The conference premises are equipped with modern technology, with sound systems and video projectors. The lumberjack apartment Pääpirtti is a good option for those looking for a meeting space with a wild spirit. The visitor centre can customize servings by order, as well as programme services, as part of a meeting. 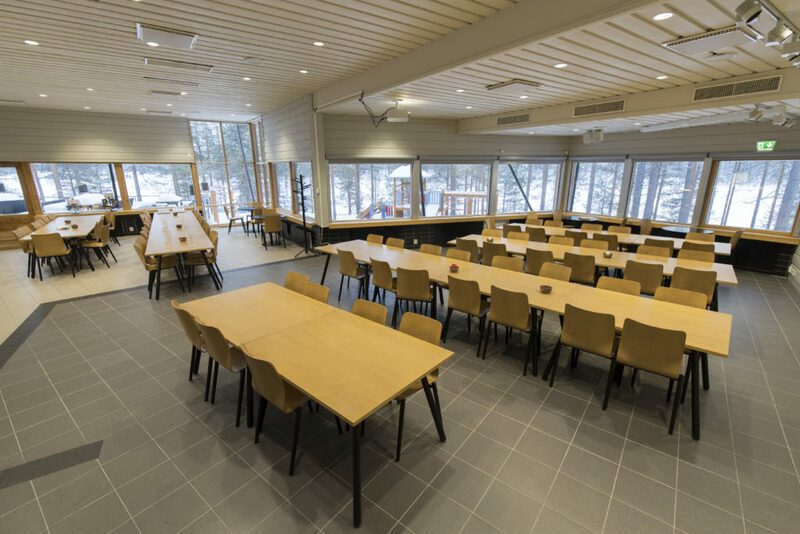 Programme services and outdoor dining can be ordered from the staff at Hossa and Kylmäluoma visitor centres. The customized programme services are highly suited, for example, as part of a conference. Additional information of the area programme services can be provided by the visitor centre receptions. 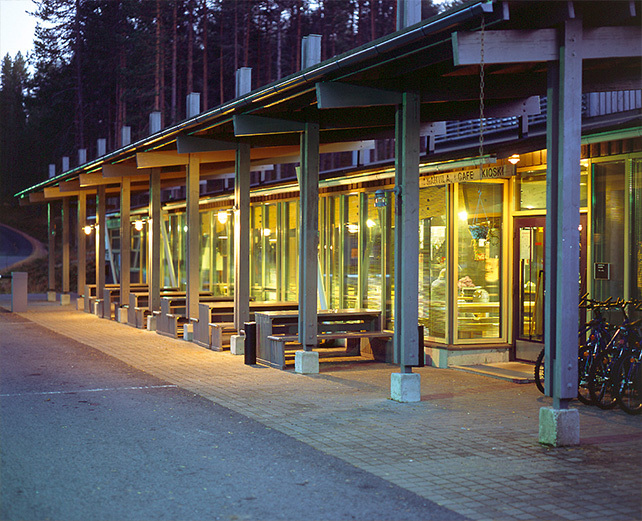 The main building of Kylmäluoma visitor centre contains the cosy café-restaurant Kaakkuri. It is open from March to the end of October. During the summer season, the kitchen of the 70-seat restaurant prepares daily delicious lunches. À la carte dishes are also available, in addition to lunches. Due to its A-license, one can also drink alcohol when dining, as well as raise a toast to a good catch. The café-restaurant can also provide basic food provisions and souvenirs for purchase. 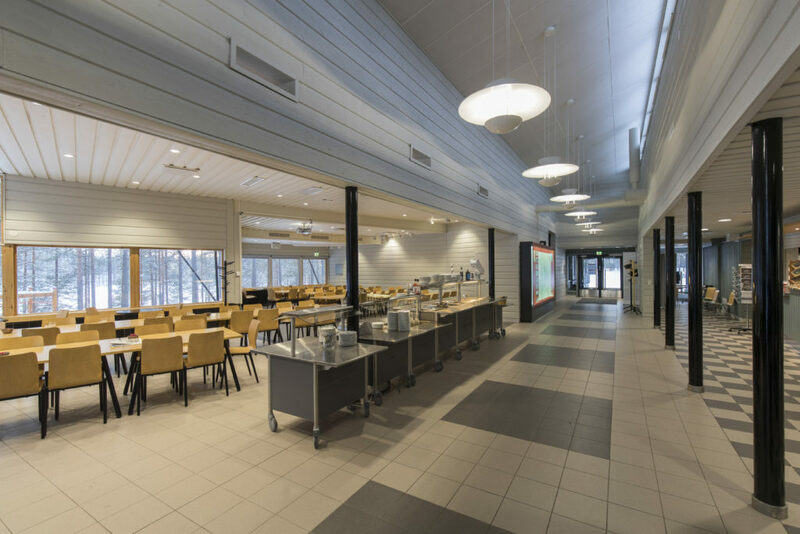 Kylmäluoma is also suitable for the organisation of meetings and is an excellent place, for example, for the upkeep of workplace health promotion groups. Lunch at Kylmäluoma is served daily during the summer season, from 12-16. A hearty lunch buffet is a good way to fill up before or after a trek. At other times, it is possible to get meals for groups upon request. 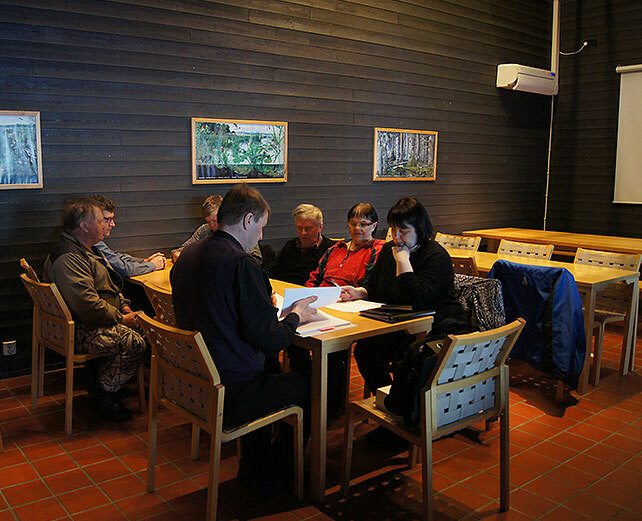 Kylmäluoma’s facilities are suitable for the organization of meetings for 25-30 people. Meetings can be combined, for example, with fishing or other activities in the area. With the assistance of the programme services of the trekking centre, meetings may be combined with unforgettable experiences.